You are here: Home / Birmingham-Hoover Metro Area Home Sellers / Birmingham Home Sellers: Are You Committed to Selling Your Home? Birmingham Home Sellers: Are You Committed to Selling Your Home? This message is for home sellers everywhere, but particularly home sellers in the Metropolitan Birmingham, AL area. Have you decided that you want to sell your home this year? Or if your previous listing has expired, are you thinking about relisting you home for sale? If so, please keep reading. as well as when it goes on the market. Below you’ll find a short list of some of the most important things to go on the list and it can be adjusted over time. Please put it where you can see it often. If you are a seller that already has your home on the market, I challenge you to pick up the phone and call your real estate agent with a redefined attitude and commitment to sell your home. If you are a Birmingham, Alabama area home seller whose listing expired sometime last year, my guess is that you still really want to sell your home, in which case, I’d like to talk with you about what can be done differently this time around and put in place a bonafide and concrete plan of action to turn your listing into a SOLD statistic in 2013. As a partner to sell your home, together we’ll implement a strategies that are practiced by top real estate agents across the country. Let “Sell Your House Fast for the Right Price!” be your home selling handbook in conjunction with my efforts to sell your Birmingham, Alabama home. 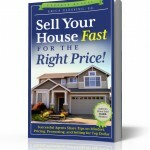 You can order your copy of Sell Your House Fast for the Right Price by clicking here. Contact me today for a free no obligation consultation and get the book FREE (while supplies last).